Sanwa MU Standard Adapter Series includes simplex, duplex, and 8-port models in phosphor bronze or with zirconia split sleeves. Our precision plastic molding technology enables us to offer the highest performance adapters in the industry. 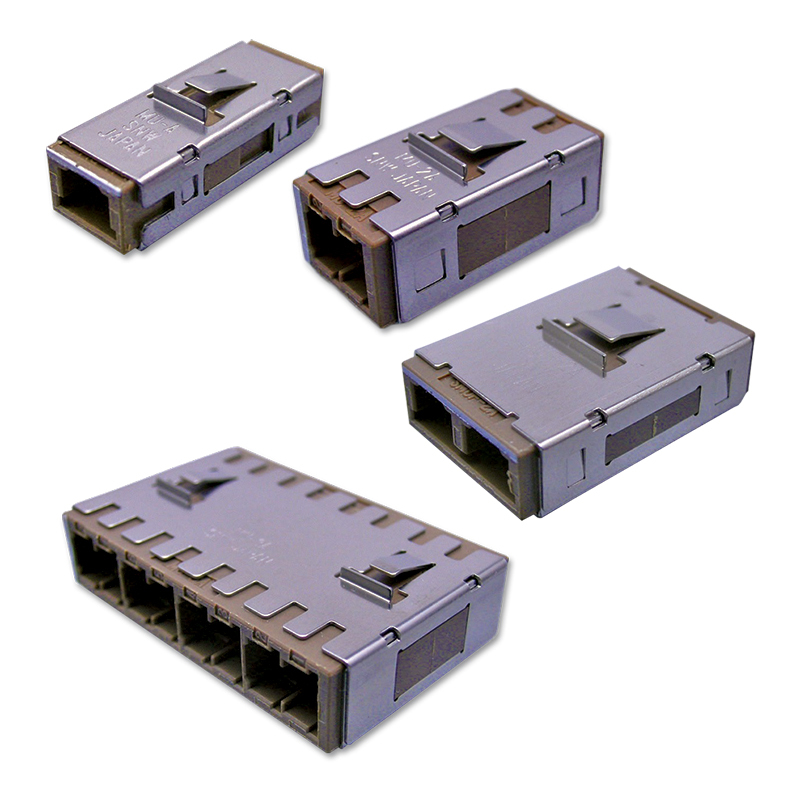 With 4.5mm optical pitch, Sanwa MU adapters provide the most compact packaging solution as compared to other single fiber type connectors. The stainless housing body covers are available in panel snap-in and panel screw type, as well as PC-board mount and PC-board screw type.